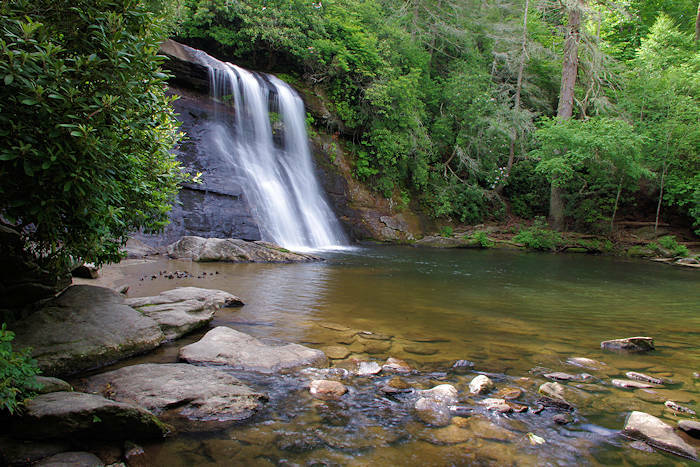 Silver Run Falls in the Nantahala National Forest is just four miles south of Cashiers in Jackson County. This 25-ft. waterfall cascades into a tranquil pool with a small beach area. 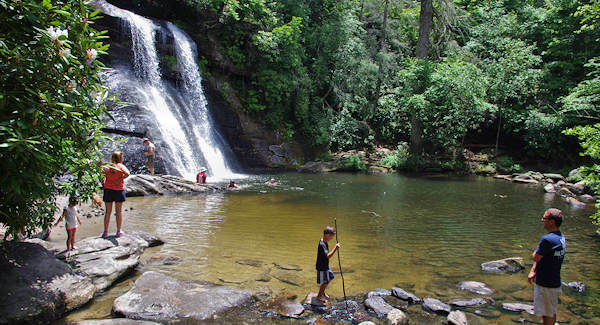 So it's a popular swimming spot in the North Carolina mountains. This means it can be crowded on hot days since its safe for small children to enjoy the water. But on other days, you can often enjoy all by yourself. There's a forest service sign along the road to mark the small roadside parking area for 4-5 cars. It's a short walk (about 1/4-mile) on a mostly level trail and across a bridge over the headwater of the Whitewater River. There are a couple of observation points along the shore to soak in the views of Silver Run Falls. And many rocks where you can step across to get a different angle. Peak fall color in this area is usually mid-October. 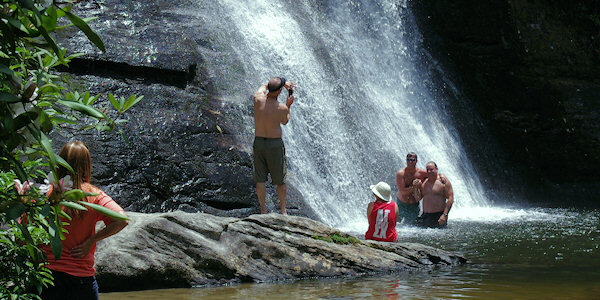 The refreshing waters of the pool and falls are perfect on a hot summer's day. Directions: From US Highway 64 in Cashiers, go south on NC Highway 107 for four miles and look for the sign and parking area on the left. 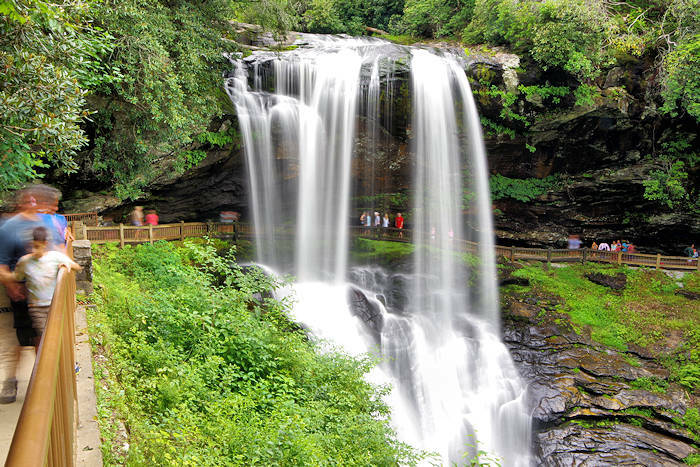 Nearby: There are many waterfalls near Highlands and Cashiers, North Carolina, that are easily seen and enjoyed. 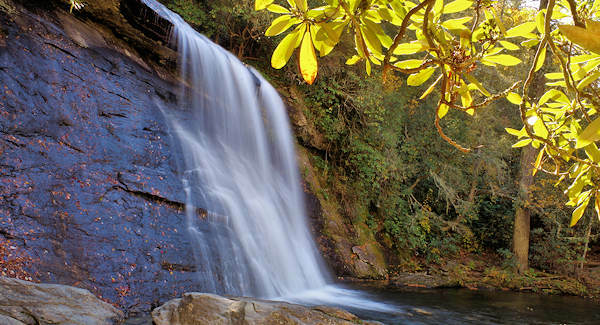 Many of these are located along US Highway 64, the Mountain Waters Scenic Byway. 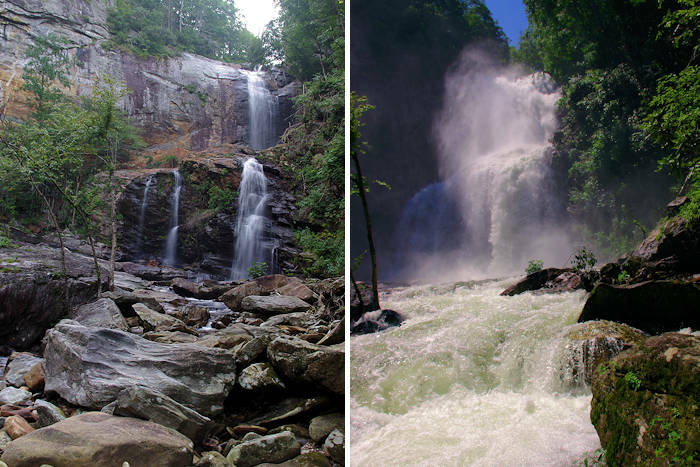 Go south on NC 107, left on SC 37-413 and left on SC 130 to Upper Whitewater Falls (9 miles). 5 miles away is Cashier's Sliding Rock. 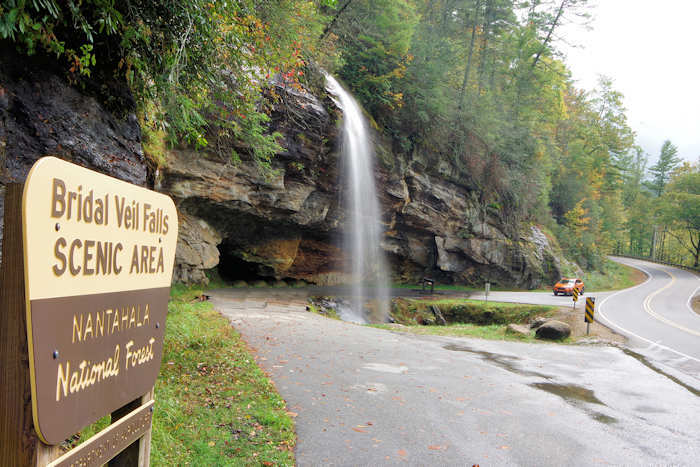 Take NC 107 North for 12 miles to High Falls. 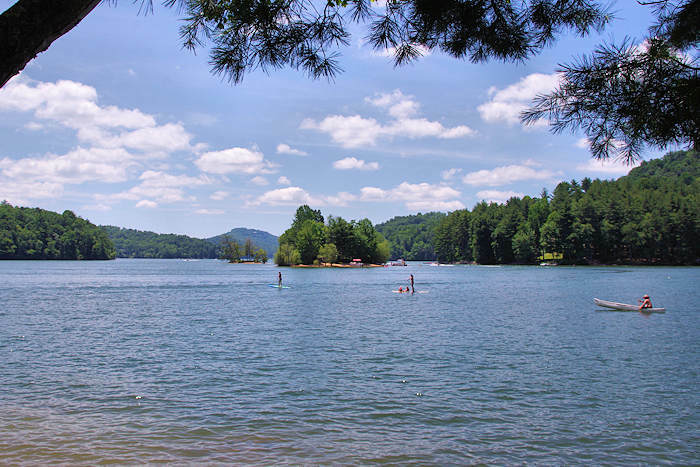 Download a map & brochure of the Mountain Waters Scenic Byway.